Riding a motorbike in Vietnam is a dream of many riders who have a great passion of riding around the world. However, to make the dream become true, they have to spend much time studying the necessary things for the trip. To help riders get closer to this dream, this article will be the useful guide to prepare for riding a motorbike in Vietnam, what will need and how should prepare, etc. Searching for general information to make a plan of riding a motorbike in Vietnam is the first step you should do carefully because it affects on the whole program, the way of travel and the expense of the trip. So, with this step, you have to understand the basic information about culture, people and geography of our country. Which destinations you should visit? Do and Don’t in Vietnam etc. Once riders get an overview of Vietnam and know where to go, what to do, riders can work out the dates, travel style and prepare the budget. Don’t have much time but still want peace of mind? Find out a Vietnam motorbike tour operator to arrange the ride is the good idea. However, that is not the way for real motorcyclists who want to explore and experience everything by them-self. For them, life is a journey not a destination so building a program, buying a motorbike then making the journey in their own way would be great. Option 1: Arrive in Hanoi – Hanoi – Ha Long bay (2 days) – Lang Son – Cao Bang – Ban Gioc Waterfall – Cao Bang – Ba Be Lake – Hanoi. Option 2: Arrive in Hanoi – Hanoi – Ha Long bay (2 days) – Lang Son – Cao Bang – Ban Gioc Waterfall – Cao Bang – Ba Be Lake – Meo Vac – Dong Van Rocky Plateau – Ha Giang – Sapa – Mu Cang Chai Terraced Rice Fields – Nghia Lo – Hanoi. Option 3: Arrive in Hanoi – Hanoi – Ha Long bay (2 days) – Lang Son – Cao Bang – Ban Gioc Waterfall – Cao Bang – Ba Be Lake – Meo Vac – Dong Van Rocky Plateau – Ha Giang – Sapa – Sin Ho – Dien Bien – Son La – Mai Chau village – Hanoi. Option 4: Arrive in Hanoi – Hanoi – Mai Chau Village – Son La – Dien Bien – Sin Ho – Sapa – Bac Ha – Vu Linh – Hanoi. Option 5: Arrive in Hanoi – Hanoi – Mai Chau Village – Moc Chau Plateau – Phu Yen – Mu Cang Chai terraced rice fields – Sapa – Vu Linh village - Hanoi. Option 6: Arrive in Hanoi – Hanoi – Mai Chau Village – Son La – Dien Bien – Sin Ho – Sapa – Bac Ha – Ha Giang – Dong Van Rocky Plateau – Bao Lac – Cao Bang – Ban Gioc Waterfall – Ba Be Lake – Hanoi. Option 1: Arrive in Hanoi – Hanoi – Mai Chau Village –Tan Ky – Phong Nha Caves – Khe Sanh - Hue – Hoi An – Kham Duc – Buon Ma Thuot – Nha Trang – Da Lat – Cat Tien National Park – Ho Chi Minh city . Option 2: Arrive in Hanoi – Hanoi – Mai Chau Village –Tan Ky – Phong Nha Caves – Khe Sanh - Hue – Hoi An – Tam Quan town - Tuy Hoa city - Nha Trang – Mui Ne – Vung Tau beach – Sai Gon. Option 1: Ho Chi Minh city – Cu Chi tunnels - Ben Tre – Can Tho – Ho Chi Minh city. Option 2: Ho Chi Minh city – Cu Chi tunnels - Ben Tre – Can Tho – Vung Tau Beach – Mui Ne - Ho Chi Minh city. Once riders have a preliminary program, please list out the whole destinations in this program and learn more about them in detail to set up your time. The information about the famous destinations is fully updated on the Vietnam Info page for your reference. 3rd Step: Buying, renting or importing a motorbike to Vietnam? Which is a better choice? Renting a motorbike in Vietnam is very easy and convenient. Riders need only a copy of passport, pay for the rent and make a deposit for the bike. If riders want to rent a motorbike in Ho Chi Minh City, you can go to Pham Ngu Lao str., Cong Quynh str. in the District 1 where it has many bike for rent. Renting a motorbike in Hanoi is simpler and easier with tons of rental shops in Hanoi Old Quarter area. The rental rate is depended on the kind, the quality of the motorbike, the length of rental and your bargaining power. If you need a scooter or semi automatic motorbike, riders only pay $7 to $10/day. For a dirt bike, it costs from $25/day for a Honda XR150 or $55/day for a Honda CRF250L. The longer rental term is, the lower rental rate is, and of course, also easily bargain with the lessor. The huge disadvantage of renting is returning the bike after finishing the trip. It has no choice, riders have to come back to the rental shop to return the motorbike then get the deposit because all of rental shop has only office in big city. Renting a motorbike in Vietnam is very convenient in terms of procedures, but it is not suitable for a one-way trip in the country with the length of nearly 2,000km. Therefore, many riders have a consideration of buying a motorbike in Vietnam. Vietnam is one of the countries with the highest number of motorcycles in the world, therefore the riders have no difficulty on buying a motorbike in Vietnam. However, to buy a suitable one with good quality, you should have a good knowledge in this field. If not, you will be overpaid or even get low quality bike. There are so many people who have to pay quite a lot of money but do not have a good motorbike. The first step in buying a motorbike in Vietnam is to choose the most suitable kind of motorbike which is match with your riding skill and body. If you are not tall and do not have a good skill of controlling a manual bike, a second hand scooter or semi automatic motorbike for $300 is not a bad idea. However, if you are an experienced manual bike rider, and want to have a really fun and fabulous motorbike journey, spend your time and money to buy for yourself a dirt bike to have a true adventure. The price for a dirt bike is quite expensive, ranging from $2,500 to $8,000. Expensive, but you will get what you pay for. If you still want a motorbike which is not too weak and you can afford, with many backpackers, Chinese Honda Win 110cc is an optimal choice. In Vietnam, you can go to the shops which are located in the Hanoi Old Quarter such as in Ta Hien, Dao Duy Tu, Luong Ngoc Quyen str., etc to buy old motorbikes which are maintained by the mechanics. However, you should check thoroughly if you do not want to buy a poor quality one. Besides, if you have time and want to save your money, you can buy the used motorbikes from other backpackers who have just finished their riding a motorbike in Vietnam and ready to through their bike with dirt-cheap price. The price of such a motorbike is only $100-$200, even cheaper. However, please think carefully because the quality of such motorbikes is not always good and we have to spend a lot of money to maintain them. Importing a Motorcycle into Vietnam from abroad must follow a very complicated process and cost significantly. Riders need the help of a travel agency to go through legal procedures in Vietnam. In our country, the reality of practicing is often much more complicated than what to be listed in the guiding documents and it may lead to long-lasting case that makes you miss your plans for riding a motorbike in Vietnam. According to the decree No.152/2013/ND-CP on management of motor vehicles brought into Vietnam by foreign tourists which has been taken into effect since December 25th 2013, foreign travelers can bring foreign vehicles into Vietnam for tourism purposes for not over 30 days, and maximum 10 days in the case of extension. The travelers must prove that they have booked the motorcycle tour before and have travel itinerary arranged by Vietnamese travel agents or Vietnam-based tour operators. The temporary motorbike importation into Vietnam for traveling purpose must be approved by Vietnam international travel agencies which will deal with all of approval procedures. To get the approval, the tourists must be foreigners, have passport or alternative other documents in more than 6 months valid from entry date; have visa complying with temporary residence in Vietnam law (except for visa exemption); and their registration number plates have finished in oversea. Valid certification about the safety of engineering for control or environment granted by authority officer in countries taking place the registration number plates. When joining the traffic in Vietnam, tourists must obey the Vietnamese traffic law, bring all the above documents and must be leaded by local direct vehicles: motors or cars which arranged by Vietnam International Travel Agencies. Vietnam International Travel Agencies have to follow the immigration law for foreign riders and motorbike vehicles; in charge of paying the extra fee if foreign riders cause accident and carry out the transferring of motor vehicles in or out of Vietnam territory in safety; list all the information of full name, passport No., nationality together with the information of the vehicles: types, colors, chassis numbers, engine numbers and registration number of vehicles to be checked by the police in some cases. 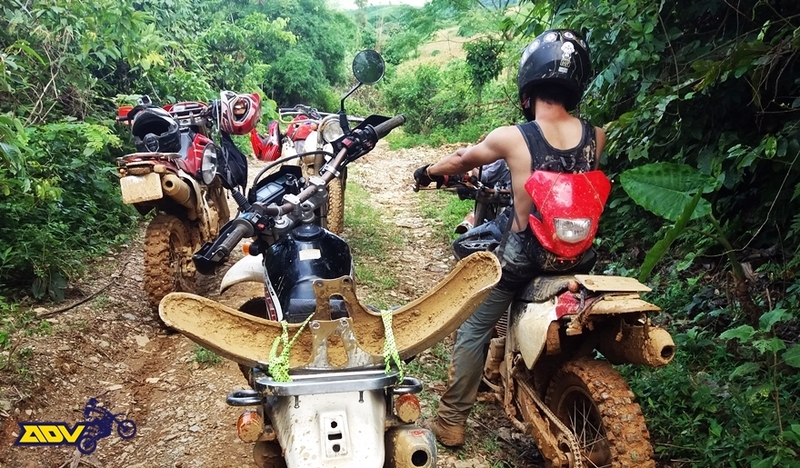 After you have a good motorbike, a specific tour program and a suitable budget, it is your time to enjoy your Vietnam motorbike trip in the own way. Wish you have a wonderful holiday in our country.